George Richard Tiller (August 8, 1941 – May 31, 2009) was an American physician from Wichita, Kansas. He gained national attention as the medical director of Women's Health Care Services, one of only three clinics nationwide to provide late-term abortions. Tiller was born in Wichita, Kansas, the son of Catherine and Dean Jackson "Jack" Tiller, MD. He studied at the University of Kansas School of Medicine from 1963 to 1967. Shortly thereafter, he held a medical internship with United States Navy, and served as flight surgeon in Camp Pendleton, California, in 1969 and 1970. In July 1970, he planned to start a dermatology residency. However, on August 21, 1970, his parents, sister and brother-in-law were killed in an aircraft accident. In her will, his sister requested that Tiller take care of her one-year-old son. Tiller had intended to go back to Wichita, close up his father's family practice and then go back to become a dermatologist. However, he quickly felt pressure to take over his father's family practice. Tiller's father had performed abortions at his practice. After hearing about a woman who had died from an illegal abortion, Tiller stayed in Wichita to continue his father's practice. At the time of his death, Dr. Tiller was board certified with the American Board of Family Practice, an Associate of the American Society of Addiction Medicine, and a clinical instructor in the Department of Family Medicine for Wesley Medical Center, where he had previously served as president of the medical staff. Tiller's practice performed late-term abortions, which made Tiller a focal point for anti-abortion protest and violence. Tiller treated patients who discovered late in pregnancy that their fetuses had severe or fatal birth defects. He also aborted healthy late-term fetuses in cases where two doctors certified that carrying the fetus to term would cause the woman "substantial and irreversible impairment of a major bodily function." His practice frequently made him the focus of anti-abortion groups. The Kansas Coalition for Life kept a daily vigil outside Tiller's facility from May 9, 2004, until May 31, 2009. The group known as Operation Rescue held an event called 'The Summer of Mercy' in July and August 1991, focusing on Tiller's clinic but also protesting other abortion providers in Wichita, Kansas. Years later, a branch that split from the main Operation Rescue group moved from California to Kansas specifically to focus on Tiller, initially named Operation Rescue West. Kansas law prohibits abortions after the beginning of fetal viability unless two doctors certify that continuing the pregnancy would cause the woman "substantial and irreversible impairment of a major bodily function." The two consulting doctors must not be "financially affiliated" with the doctor doing the abortion. Tiller was charged with 19 misdemeanors for allegedly consulting a second physician in late-term abortion cases during 2003 who was not truly "unaffiliated." The case became a cause célèbre for both supporters and opponents of legal abortion. WorldNet Daily Columnist Jack Cashill compared the trial to the Nuremberg Trials of Nazi war criminals, while Icahn School of Medicine at Mount Sinai Professor Jacob Appel described Tiller as "a genuine hero who ranks alongside Susan B. Anthony and Martin Luther King Jr. in the pantheon of defenders of human liberty." The trial took place in March 2009, with the jury finding Tiller not guilty on all charges on March 27, approximately two months before his death. Dr. Tiller struggled with substance abuse, which came to a head in 1984 when he was arrested for driving under the influence. He sought treatment, overcame his difficulties, and later served on the Kansas Medical Society’s impaired physicians committee. Tiller was discussed in 28 episodes of the Fox News talk show The O'Reilly Factor in the years leading up to his death, focusing national attention on his practice. Although he later denied it, show host Bill O'Reilly sometimes described him as "Tiller the Baby Killer," a nickname that Congressman Robert Dornan had used on the floor of the US House of Representatives. O'Reilly said he would not want to be Tiller, Kathleen Sebelius, and other pro-choice Kansas politicians "if there is a judgment day." On November 3, 2006, O'Reilly featured an exclusive segment on The O'Reilly Factor, saying that he had an "inside source" with official clinic documentation indicating that Tiller performed late-term abortions to alleviate "temporary depression" in pregnant women. He characterized the doctor as "a savage on the loose, killing babies willy-nilly," and accused him of "operating a death mill," and of protecting the rapists of children. He suggested that Tiller performed abortions for women who had "a bit of a headache or anxiety" or who felt "a bit blue." O'Reilly's campaign against Tiller included the on-air disclosure of confidential patient information provided by former-Kansas Attorney General Phill Kline, for which breach of professional conduct Kline's law license was eventually suspended indefinitely. Kline obtained some records provided via his demand to Tiller's associate, Dr. Kristin Neuhaus, whose prosecution he pursued after Dr. Tiller's assassination, and illegally disclosed them, including discussing them with O'Reilly on television. After Dr. Tiller was murdered, O'Reilly denied responsibility and defended his campaign against Dr. Tiller, saying: "When I heard about Tiller’s murder, I knew pro-abortion zealots and Fox News haters would attempt to blame us for the crime, and that’s exactly what has happened. [...] Every single thing we said about Tiller was true, and my analysis was based on those facts. [...] Now, it’s clear that the far left is exploiting—exploiting—the death of the doctor. Those vicious individuals want to stifle any criticism of people like Tiller. That—and hating Fox News—is the real agenda here." Throughout his career, Tiller was a frequent target of anti-abortion violence. In June 1986, his clinic was firebombed. While it was being rebuilt, Tiller displayed a sign reading "Hell no, we won't go." On August 19, 1993, anti-abortion extremist Shelley Shannon shot Tiller five times, while he was in his car. At the time she attacked Tiller, Shannon had been an anti-abortion activist for five years and had written letters of support to the convicted murderer Michael Griffin, who had murdered Dr. David Gunn. She called him "a hero." At her trial in state court, Shannon testified that there was nothing wrong with trying to kill Tiller. The jury convicted Shannon of attempted murder, and she was sentenced to 11 years in prison. The following year, however, Shannon was sentenced to an additional 20 years in prison on charges of arson, interference with commerce by force and interstate travel in aid of racketeering in connection to her participation in several fires and acid attacks on abortion clinics. Tiller was fatally shot in the side of the head on May 31, 2009, by anti-abortion extremist Scott Roeder during worship services at the Reformation Lutheran Church in Wichita, where he was serving as an usher and handing out church bulletins. After threatening to shoot two people who initially pursued him, Roeder fled and escaped in his car. Three hours after the shooting, Roeder was arrested about 170 miles (270 km) away in suburban Kansas City. Operation Rescue West's vice president, Cheryl Sullenger was in prolonged communication with Roeder, before he assassinated Dr. Tiller. Sullenger initially denied any contact with Roeder. After her name and cell phone number was discovered on a post-it note on the dashboard of Roeder's car, she subsequently admitted that she had informed Roeder of Tiller's scheduled court dates. On June 2, 2009, Roeder was charged with first-degree murder and two counts of aggravated assault in connection with the shooting, subsequently convicted in January 2010 on those charges, and sentenced on April 1, 2010, to life imprisonment without parole for 50 years, the maximum sentence available in Kansas. The no-parole term was later reduced to 25 years. Tiller's killing was largely condemned by groups and individuals on both sides of the abortion issue. US President Barack Obama said he was "shocked and outraged" by the murder. David N. O'Steen, director of the National Right to Life Committee, said the group "unequivocally condemns any such acts of violence regardless of motivation". Some others who spoke publicly were more confrontational. Anti-abortion activist Randall Terry described Tiller as a mass murderer and said of other abortion providers, "We must continue to expose them in our communities and peacefully protest them at their offices and homes, and yes, even their churches", and Southern Baptist minister and radio host Wiley Drake said, "I am glad that he is dead." After the shooting, Tiller's colleague, Leroy Carhart of Nebraska, stated that Tiller's clinic, Women's Health Care Services, would reopen after being closed for one week to mourn his death. The following week, Tiller's family announced that the clinic would be closed permanently. The aftermath of Tiller's assassination was the subject of the 2013 documentary After Tiller, which followed the daily lives and work of the four remaining late-term abortion providers in the United States. The George Tiller Memorial Abortion Fund was established by the National Network of Abortion Funds. In 2019, during the successful 23-14 vote confirmation of David Toland as Kansas Secretary of Commerce, objections were raised to his nomination because he had led the Thrive Allen County non-profit, which had obtained $20,000 in grants from the Fund in 2015 and 2018, to help low-income pregnant women to stop smoking and to help prevent their unintended pregnancies. State Senators Rob Olson and Mary Pilcher-Cook, joined 12 other Republican senators, and community opponents including Mary Kay Culp, leader of Kansans for Life, to oppose his nomination. 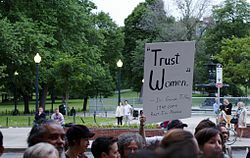 Trust Women Foundation, a 501(c)(3) charitable organization, purchased and re-opened the clinic that Dr. George Tiller operated and continues to perform abortions and other medical services. The foundation currently operates three clinics, one each in Wichita, KS, Oklahoma City, OK, and Seattle, WA. ^ a b "Dr. Tiller – Biography". The George Fund. Archived from the original on September 12, 2014. Retrieved January 18, 2013. ^ "George Tiller shot to death at Wichita church". Kansas City Star. May 31, 2009. ^ Stumpe, Joe. "Jurors Acquit Kansas Doctor in a Late-Term Abortion Case" Archived August 22, 2017, at the Wayback Machine, The New York Times, March 27, 2009. Retrieved May 31, 2009. 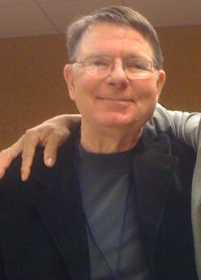 ^ "George Richard Tiller (1941-2009) | The Embryo Project Encyclopedia". Archived from the original on June 10, 2015. Retrieved January 25, 2015. ^ "George R. Tiller, MD". Physicians for Reproductive Choice and Health. 2008. Archived from the original on June 5, 2009. Retrieved 2009-05-31. ^ "Dr. Tiller – Biography". Archived from the original on September 12, 2014. Retrieved January 18, 2013. ^ a b Simon, Stephanie; Bustillo, Miguel. The majority of Tiller's abortion practice involved elective late-term abortions. According to Peggy Jarman, spokeswoman for Dr. George Tiller, "About three-fourths of Tiller's late-term patients are teenagers who have denied to themselves or their families they were pregnant until it was too late to hide it." https://www.gpo.gov/fdsys/pkg/CREC-1996-09-27/html/CREC-1996-09-27-pt1-PgE1743.htm Archived October 4, 2017, at the Wayback Machine "Abortion Provider Is Shot Dead; George Tiller, Attacked at His Church, Had Long Been a Focal Point of Protests" Archived September 3, 2017, at the Wayback Machine, Wall Street Journal, June 1, 2009. ^ "KCFL - Project LPPPA". Kansas Coalition for Life. Archived from the original on March 6, 2012. Retrieved September 27, 2012. ^ Tiller Jury Selection, Kansas City Star, March 18, 2009. ^ "Jury set in trial of Wichita late-term abortionist", Kansas Liberty, March 18, 2009. ^ "Why George Tiller is on trial in Wichita," World Net Daily," March 19, 2009. ^ Los Angeles Times, March 21, 2009. ^ "New York Times long profile of Dr. Tiller, page 2". Archived from the original on August 22, 2017. Retrieved February 16, 2017. ^ Leblanc, Aileen. "Abortion Services Return To Town Where George Tiller Was Murdered". NPR.org. Archived from the original on April 22, 2018. Retrieved December 29, 2015. ^ "Bill O'Reilly called George Tiller". Politifact. June 5, 2009. Archived from the original on December 26, 2015. Retrieved December 29, 2015. ^ "O'Reilly's campaign against murdered doctor". salon.com. May 31, 2009. Archived from the original on June 11, 2009. Retrieved May 31, 2009. ^ O'Reilly, Bill (November 6, 2006). "Killing Babies in America". The O'Reilly Factor. Talking Points. Fox News. Archived from the original on November 7, 2006. Retrieved November 7, 2006. ^ Winant, Gabriel. O'Reilly's campaign against a murdered doctor. Date 2009-05-31 Archived November 19, 2012, at the Wayback Machine Accessed 2012-11-12. ^ Supreme Court Upholds Disbarment of Anti-Abortion Kansas Ex-AG Phill Kline Archived November 16, 2018, at the Wayback Machine, CounterPunch, Dave Lindorff, May 2, 2014. Retrieved 22 April 2018. ^ "O'Reilly Responds to the Tiller Murder: 'No Backpedaling Here...Every Single Thing We Said about Tiller Was True'". ThinkProgress.org. Archived from the original on October 6, 2014. Retrieved October 2, 2014. ^ a b Pilkington, Ed. "For years anti-abortionists tried to stop Doctor Tiller. Finally a bullet did" Archived June 11, 2009, at the Wayback Machine, The Guardian, June 1, 2009. ^ "Antiabortion Extremist Indicted in Attacks on Clinics in West". The Washington Post. October 25, 1994. Archived from the original on August 22, 2016. Retrieved January 8, 2018. Rachelle Shannon, an antiabortion extremist in prison for trying to murder a doctor, has been charged in 10 arson and acid attacks at abortion clinics in the West, the Justice Department said yesterday. ^ Thomas, Judy (February 7, 2010). "Feds still exploring charges in Tiller murder after guilty verdict". McClatchy. Archived from the original on January 9, 2018. Retrieved January 8, 2018. Shelley Shannon is a martyr and hero of this group of extremists who believe in justifiable homicide. ^ "Clinic violence and intimidation" (PDF). NARAL Pro-Choice America Foundation. 2006. Archived from the original (PDF) on February 11, 2010. Retrieved April 13, 2006. ^ Crow, Karen (August 19, 2005). "A Violent Week in August". Choice! Magazine. Archived from the original on December 12, 2006. Retrieved April 13, 2006. ^ Phillips, Don (August 22, 1993). "Violence Hardly Ruffled Protest Ritual". The Washington Post. Archived from the original on March 3, 2016. Retrieved June 10, 2006. ^ Johnson, Dirk (August 28, 1993). "Abortions, Bibles and Bullets, And the Making of a Militant". The New York Times. Archived from the original on April 29, 2017. Retrieved June 7, 2009. ^ Ryan, Harriet (March 11, 2003). "Kopp fifth clinic shooter to face trial". Court TV. Archived from the original on September 21, 2007. Retrieved 2007-01-09. ^ "The Week March 20–26". Time. April 4, 1994. Archived from the original on September 30, 2007. Retrieved January 9, 2007. ^ "Antiabortion Extremist Indicted in Attacks on Clinics in West". The Washington Post. October 25, 1994. Archived from the original on August 22, 2016. Retrieved January 9, 2007. ^ "Guilty Plea Expected In Fires at Clinics". The New York Times. June 4, 1995. Archived from the original on September 2, 2016. Retrieved January 9, 2007. ^ "Woman Gets 20-Year Sentence In Attacks on Abortion Clinics". The New York Times. September 9, 1995. Archived from the original on December 7, 2015. Retrieved January 9, 2007. ^ Toppo, Greg (December 1, 2015). "Threat of violence ever-present at abortion clinics, advocates say". USA Today. Archived from the original on January 9, 2018. Retrieved January 8, 2018. Anti-abortion extremist Scott Roeder gunned down Tiller... as he ushered at his Lutheran church. ^ Adams, Richard (April 1, 2010). "Scott Roeder sentenced to life in prison". The Guardian. Archived from the original on January 9, 2018. Retrieved January 8, 2018. Scott Roeder, the anti-abortion extremist who murdered Dr George Tiller, shouted "The blood of babies is on your hands!" as he was led from the courtroom in Wichita, Kansas after receiving a life sentence without parole for 50 years. ^ Kort, Michele (Summer 2009). "A Man Who Trusted Women". MS Magazine. Archived from the original on April 29, 2018. Retrieved January 8, 2018. ^ Robin, Abcarian (May 31, 2009). 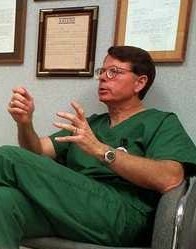 "Abortion doctor George Tiller is killed; suspect in custody". Los Angeles Times. Archived from the original on June 11, 2009. Retrieved June 1, 2009. ^ a b Finger, Stan (May 31, 2009). "George Tiller Shot to Death at Wichita Church". The Wichita Eagle. The McClatchy Company. ^ "Suspect in Custody Identified in Tiller Shooting is a 1976 graduate of Topeka High". WIBW.com. June 1, 2009. Archived from the original on December 31, 2013. Retrieved January 18, 2013. ^ Laura Bauer; Judy L. Thomas (June 1, 2009). "Operation Rescue adviser helped Tiller suspect track doctor's court dates". The Kansas City Star. Retrieved December 17, 2017. ^ Robb, Amanda (Spring 2010). "Not A Lone Wolf". Ms. Magazine. Retrieved April 17, 2019. ^ "Criminal Complaint/Information (Kansas v. Scott P. Roeder)". FindLaw. June 2, 2009. Archived from the original on June 12, 2009. Retrieved June 5, 2009. ^ Sylvester, Ron (April 1, 2010). "Scott Roeder gets Hard 50 in murder of abortion provider George Tiller". The Wichita Eagle. Archived from the original on April 2, 2010. Retrieved April 1, 2010. ^ Press, Associated. "The man who killed a Kansas abortion doctor has his sentance reduced". latimes.com. The Los Angeles Times. Retrieved January 10, 2018. ^ a b "National Right to Life condemns the killing of Dr. George Tiller". National Right to Life. May 31, 2009. Archived from the original on June 3, 2009. ^ "KS NOW Mourns the Murder of Dr. George Tiller". Kansas Now. May 31, 2009. Archived from the original on June 6, 2009. ^ "Murder Not Justified, Pro-Life Leaders Say". Baptist Press. June 1, 2009. Archived from the original on January 13, 2014. Retrieved 2013-01-18. ^ "Barack Obama shocked by abortion doctor shooting". London: Telegraph.co.uk. June 1, 2009. Archived from the original on June 7, 2009. Retrieved May 3, 2010. ^ Veritas, Sandy. "George Tiller was a Mass-Murderer, says Randall Terry -- We Grieve That he Did Not Have Time to Properly Prepare his Soul to Face God". Christian News Wire. Archived from the original on June 6, 2009. Retrieved June 1, 2009. ^ Koppelman, Alex. "Keyes' running mate: Tiller murder "answer to prayer"". Salon.com. Archived from the original on June 11, 2009. Retrieved 2009-06-02. ^ Allen, Bob (June 2, 2009). "Former SBC officer says Tiller murder answer to prayer". Associated Baptist Press. Archived from the original on July 19, 2011. ^ Finger, Stan (June 1, 2009). "Nebraska physician vows to keep Tiller's abortion clinic open". Wichita Eagle. ^ Abcarian, Robin (June 10, 2009). "'Abortion fatigue' on both sides as Kansas clinic closes". Los Angeles Times. Archived from the original on June 12, 2009. Retrieved June 10, 2009. ^ "What is the George Tiller Memorial Abortion Fund?". FundAbortionNow.org. Archived from the original on June 10, 2015. Retrieved June 10, 2015. ^ Kansas Commerce Chief confirmed despite vocal opposition, SFGate, John Hanna (AP), April 1, 2019. Accessed April 17, 2019. ^ "Kansas abortion clinic to set to reopen this week". NY Daily News. Archived from the original on August 19, 2017. Retrieved August 19, 2017. ^ "Clinics Overview". Trust Women Foundation. Retrieved November 7, 2018.